British national Peter Humphrey and his wife Yu Ying Zeng, an American national, have been charged with illegally obtaining private information in GSK China bribery case, Xinhua news agency said. 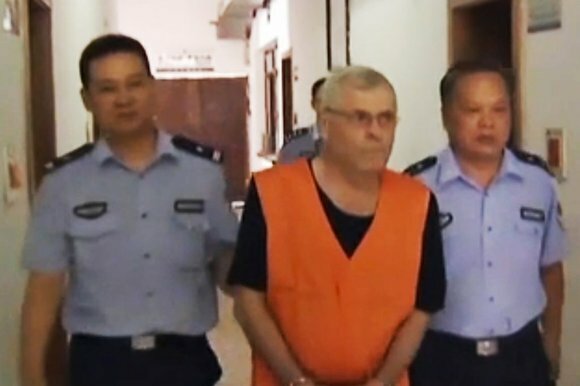 Peter Humphrey and Yu Ying Zeng were arrested in China in August 2013. His company, ChinaWhys, was hired by GlaxoSmithKline China, which is embroiled in controversy over alleged systematic bribery of Chinese doctors. Prosecutors say the couple “illegally trafficked a huge amount of personal information on Chinese citizens” for profit, Xinhua reported. They obtained this information by “secret photography, infiltration or tailing after someone”, it said. “Based on the information, the couple compiled so-called <<reports>> and sold them at high prices to their clients, most of which are China-based multinational corporations, including GSK China,” it said. Local courts “will hold [a] hearing about the case soon”, the agency added. In a statement earlier this month, GSK said that its China operation hired ChinaWhys in April 2013 “to conduct an investigation following a serious breach of privacy and security related to the company’s China general manager”. This is understood to relate to a s** tape said to have shown the general manager, Mark Reilly, who said the footage was filmed without his knowledge or consent. The video was sent to GSK’s London-based CEO Andrew Witty with an email accusing Mark Reilly of being behind systematic corruption in the company’s China operation. Mark Reilly is currently being investigated by Chinese authorities, as are at least two other senior GSK China executives. He is alleged to have pressed his sales team to bribe doctors, hospital officials and health institutions to increase sales of GSK products. He is currently effectively detained in China, and has made no recent comment. GSK has described the allegations as “deeply concerning”. “We are learning lessons from this situation and we are determined to take all actions necessary as a result,” it said in the statement.